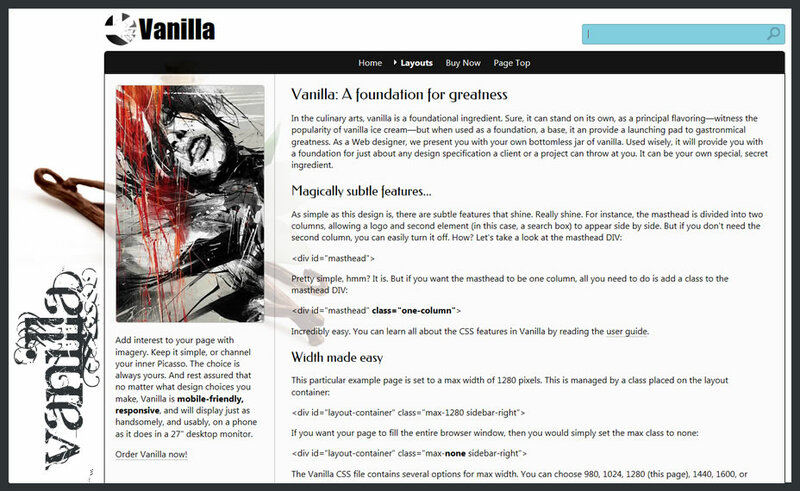 Vanilla is an automated Dreamweaver page-building tool that makes it easy to create responsive pages that are minimally, yet elegantly styled, making it easy for you to work your own brand of design magic. Choose from 5 different layouts, including traditional sidebar designs, a blank framework, and a cool single-page scrolling site. 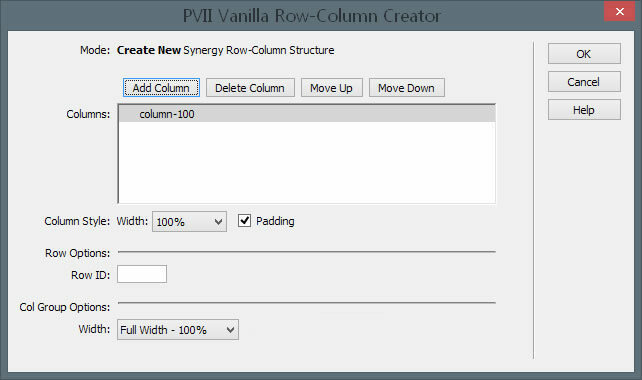 Vanilla also includes an automated row/column creation tool to make custom layouts a snap. Think about it. In less than a minute, you can build a responsive page, ready for your content. Choose from 4 conventional interior pages, with sidebars left or right, two sidebars, or even a single column. Use the main navigation menu to tie these pages all together into your dream site. In less than a minute, you can build a trendy, engaging page with special navigation that allows for smooth animated scrolling between page sections. Navigation is handled by the included free copy of Drop Menu Magic, which is the most powerful free menu tool ever to hit the Dreamweaver community. Vanilla includes the responsive Drop Menu Magic menu-building tool. Free. DMM builds single-level menus, conventional drop-down menus, drop-down menus with horizontal sub-menus, or vertical accordion menus. DMM has many stellar features, including the ability to set links that scroll to different sections of your page. Actually, you can set links to scroll to any element ID on your page. Vanilla's most delectable feature is the Row/Column Creator, which allows you to add rows and configure columns inside those rows. You can use this tool, to add new rows to an interior page or a portal page. Vanilla comes with its own secret sauce, and boy is it tasty. Choose Layout 06 when you create your page and you get a framework page, with masthead and footer, and a body that will bring any CSS fan to his knees. The body in question is set up and waiting for you to use the Row/Column Creator to build the layout of your dreams. Yes, you can have it your way, anyway, for any project. All you need is PVII Vanilla. 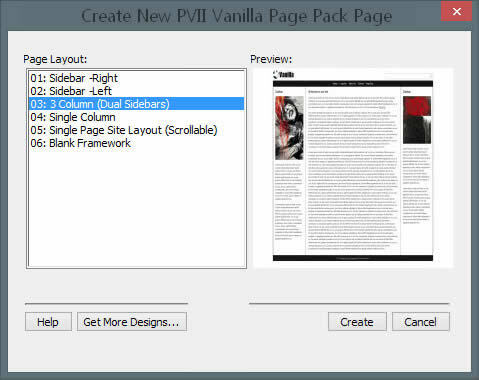 PVII Vanilla is an indispensable tool that will make your job and your life a lot easier.